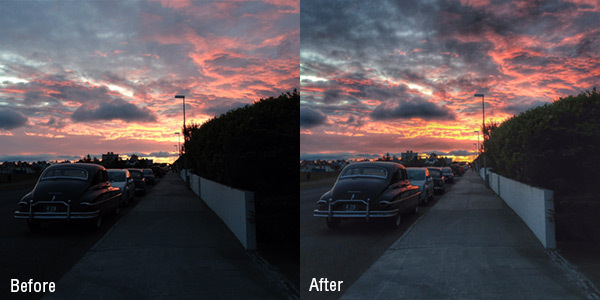 Version 1.6.0 of Snapseed introduces two new filters to process images. The latest additions are aimed at broadening the original picture’s dynamic range, not only saving from the trash bin some of your badly exposed photos, but also bringing extra interest to those that are already OK in the exposure department, but not particularly memorable when it comes to color, detail and drama. HDR Scape is a new effect that will mainly come in handy to landscape shooters, but also to people that often take pictures in light conditions that exceed the capabilities of iPhone and iPad cameras. From a single picture you can now create HDR-like images by broadening the original’s dynamic range, by bringing back detail in shadows and highlights and by increasing saturation and contrast. All this without worrying about taking several shots of the same scene and aligning them in post-processing. 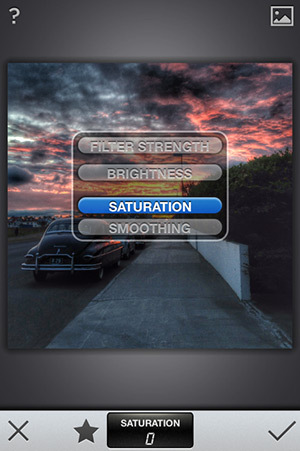 The filter comes with four customizable presets to match a variety of subjects and situations: Nature, People, Fine and Strong. The Shadow filter is part of the set of tools in the Tune image menu, together with Brightness, Ambiance, Contrast, Saturation and Warmth. With this set of tools, you can now fix issues with most of your photos, from dark foregrounds to wrong color temperature. Both these filters are adjustable through Snapseed’s classic control system of sliders, swiping vertically to select the desired setting and horizontally to regulate its intensity. Version 1.6.0 of Snapseed is not compatible with iOS 5 and 6. If you are still running one of these, please do not update. Snapseed is a free app designed to work both on iPhone and iPad and one of the most popular editing tools for iOS.